Little things go a long and that is a lesson probably we could all learn from the squirrel. Native Americans considered all living beings as brothers and sisters, and that they all had a lot to teach. This included the squirrel. The squirrel if we observe work in harmony with cycles of nature, it conserves for the winter when things are scare, from a season where it is plentiful. It reminds us gently to set aside a portion of our most precious resources as an investment for the future. Food and money definitely fall into this category there are other things too. For example let us look at our own energy levels. we could conserve this asset by being aware of the choices we make, and choosing only that nurture of sustain is. It could be the natural resources of planets which we are destroying so indiscriminately. Saving and conservation are not acts of fear, they only affirm the abundance yet to come. The squirrels welcome the winter, and are prepared for it knowing that the spring follows. Its change and is part of life, both physically and mentally. It’s about creating a space, and place which is a safe place and would sustain us for the future. Hang on this does not mean stocking it up with things or thoughts, the best thing to do, would be without hoarding more than what we need, we keep pace with the cyclic flow of life, like donating the things we don’t use or need to some one who might use it. this allows for fresh flow of energy and abundance. The use of quick, nervous energy lets the squirrels to enjoy life, they are great communicators and always watch the other’s back. They help each other in danger, and allow their curious nature to lead the way, staying alert to opportunities, learning as they play. 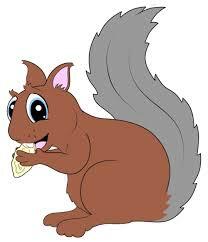 The american Indians call this squirrel medicine and acknowledge the need to set a portion of our most precious resources an investment for our future.